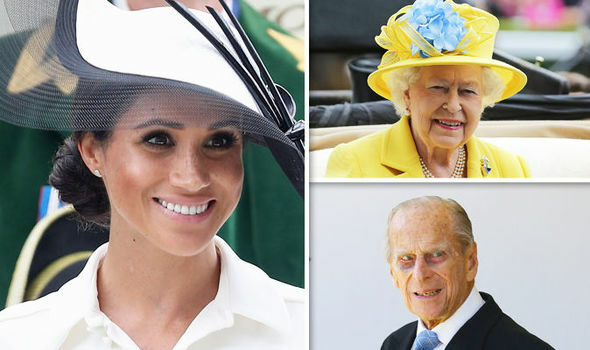 MEGHAN Markle appears to be tending to the Queen’s loneliness at Royal engagements following Prince Philip’s retirement from public life in the summer of 2017, a leading expert has claimed. James Brookes told Express.co.uk the Duchess of Sussex’s trip with Her Majesty to Cheshire showed the Royal pair “get along well” and Elizabeth II looked “genuinely happy to have some company”. He said: “The images of them both in Cheshire speak for themselves. “The Queen looked incredibly at ease and genuinely happy to have some company on an engagement again. “Although The Queen’s sense of duty trumps all, we have to remember that it will no doubt feel a bit lonely for her, now that Prince Philip’s retired. 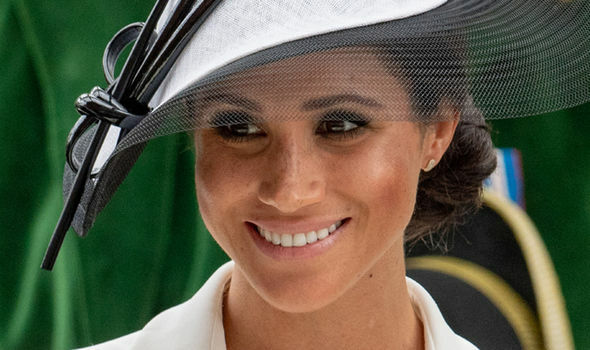 The Royal commentator claimed the Duchess of Sussex’s invitation to board the Royal Train is a “big step” and declared the Queen most likely took the opportunity to speak with her granddaughter-in-law. Mr Brookes also said the Duchess of Sussex was “no doubt slightly nervous” ahead of the engagement but Her Majesty’s “words of wisdom” would have put her at ease. He went on: “There’s no denying that Meghan being invited onboard the Royal train is a big step, especially given the speed at which it’s happened after the wedding. The difference between Meghan and Kate is the amount of exposure they’d previously had to that kind of world. “Although not aristocratic, Kate was still much more aware of the Royal world than Meghan was, and so by inviting her onboard the train, the Queen had the opportunity to speak at length to Meghan, in a private setting. “Her Majesty knows that Royal engagements are a completely different beast and will be very new and surreal to Meghan. The Queen was “reassured” by the performance of the Duchess of Sussex during their Royal engagement in Cheshire and provided the monarch with an “insight” into what areas of her role need to be improved, Mr Brookes claimed. He went on: “The day will have been an exercise. 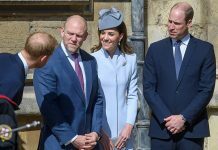 It was a chance for the Queen to see how Meghan deals with the usual trimmings of a royal engagement; the walkabouts, the handshaking, the cheers from the crowds and the small talk with dignitaries. 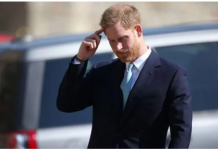 “It will have given her an insight into whether Meghan needs more assistance from aides to feel more at ease in certain areas. “The Queen will want to make sure that Meghan feels comfortable with her new role and that she’s able to carry it out well. 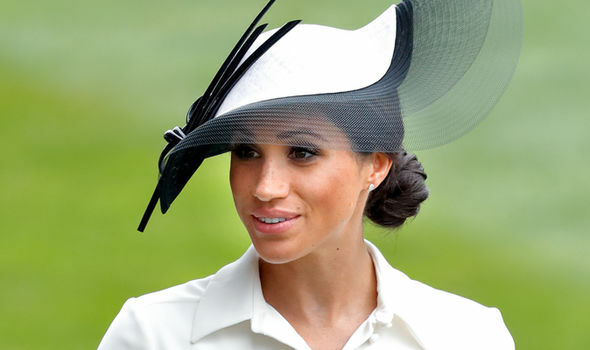 “There’s a lot for Meghan to learn – as with anybody joining the Royal Family – and both Prince Harry and her aides will be helping her behind the scenes to get to grips with some of the formalities. Last week the Duchess of Sussex and Her Majesty were greeted by huge crowds proudly displaying the Union Jack as they arrived at Runcorn Station after spending the night on the Royal Train. Previous articleRevealed VERY Special Connection between Prince Louis and Meghan Markle!